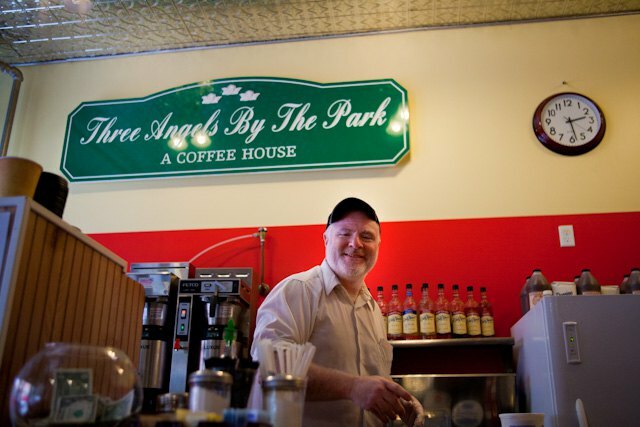 A hearty “Hey, Mr. Alday!” followed by a meaty handshake always greet this author upon entering Three Angels By The Park - a coffeehouse sitting diagonally from the entrance of Maria Hernandez Park on Irving Avenue and Starr Street. 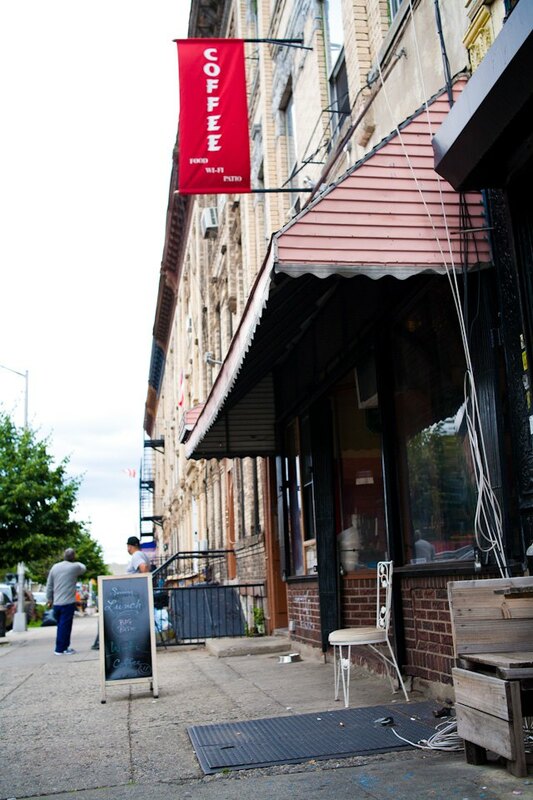 The building waves a red banner proclaiming “Coffee” from the second floor. 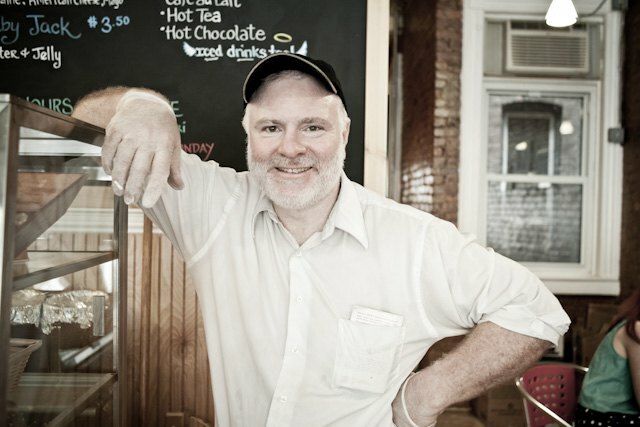 The proprietor - Jerry Cronin - is a genial former-history-teacher turned barista/landlord. The entrepreneurial father of three, after whose children the café and several sandwiches are named, occupies himself with the daily ins-and-outs of running his business. 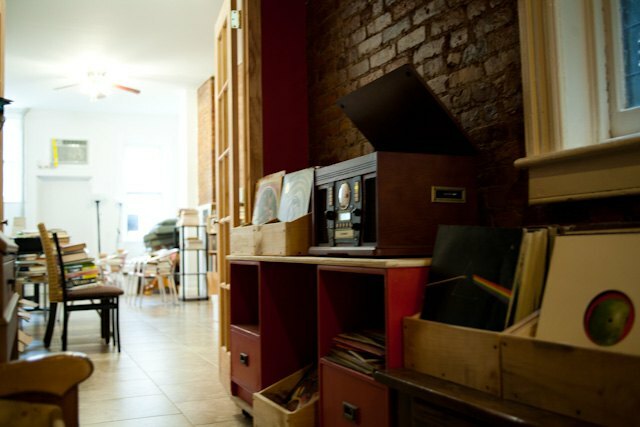 This not only includes ordering beans and keeping the vinyl records spinning, but greeting each and every customer by their name. We first met in 2010 shortly after he first opened his doors. In 2011 the shop was temporarily closed for 6 months. Since reopening he has begun hanging artwork on the walls, started serving sandwiches, and hired a new barista. “That very nice young man, behind the counter there,” in his Irish-American-by-way-of-Queens accent as he points to the new hire who is dutifully tamping espresso. In the beginning he was the only person there. “My wife was very supportive of the shop. One night I was driving home and I started counting the stoplights. There’s 88 stoplights between my shop and my driveway. That’s a lot of distance and time between myself and my family. At this moment we pause so Jerry can say hello to some of his regulars. “I’m a man from a different generation and I think that some people enjoy the throwback quality of an old guy having a conversation. But some may view my chatty approach as something from Jupiter. There’s different ways it can go and I’m learning - sometimes you just want to get in and get out. I understand that. 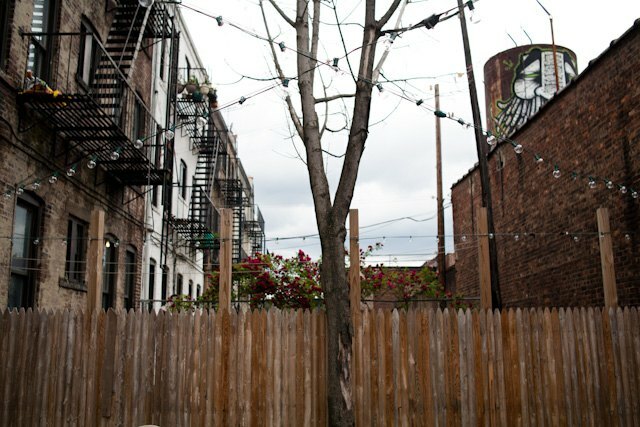 Looking around, there are white walls and an original brick wall. Jerry shows me around the shop pointing out the different artworks. “I’m keen on hanging new work. If anyone has any ideas, I’m always open to hearing them. He and his family live in the Rockaways and were present during Hurricane Sandy. The damage - which Jerry is quick to point out was minor compared to much of that suffered by his neighbors - did force him to relocate his family into one of the recently vacated apartments above the shop. Following Sandy he transformed the library in the back room into a charity book sale. At one dollar a book, all of the proceeds went toward a kindergarten that was destroyed in the Rockaways. UPDATE: We were just informed that Three Angels by the Park closed last week. We are verifying this information with Jerry Cronin.